Discovered the brand Riese & Müller at Interbike 2016 when I spied their full-suspension e-cargobike, the Load. Both the brand and bike have been on my radar ever since. 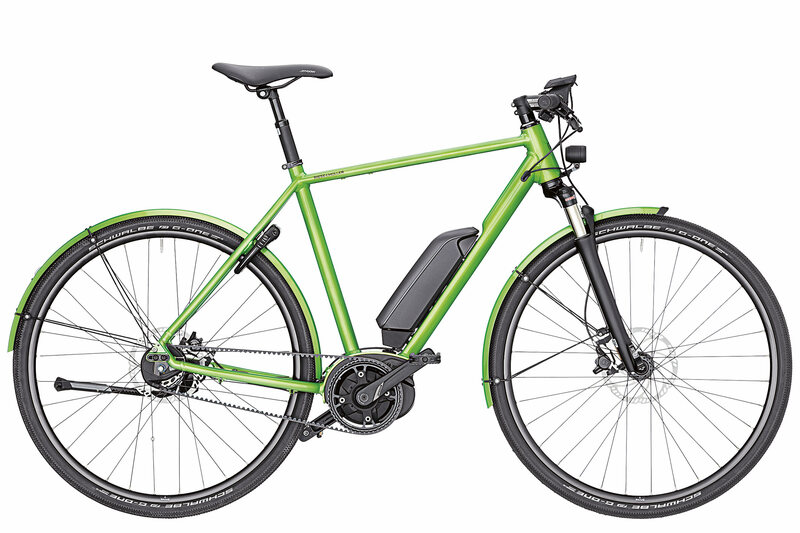 I’ve had a love-hate (love to hate) relationship with e-bikes over my tenure in the bike industry, however with the ever increasing use of the fabulously uncomplicated Bosch motors I’ve been slowly drawn to the idea of e-assist. 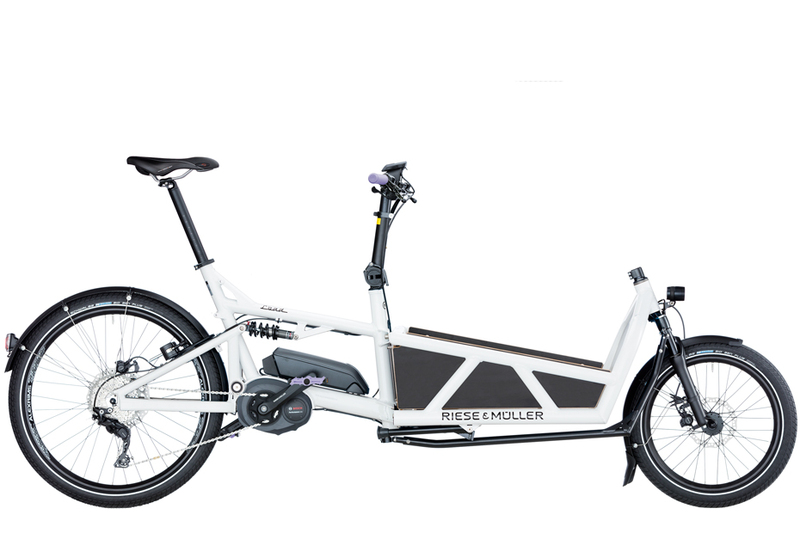 Weiterstadt, Germany – Riese & Müller – www.r-m.de – a maker of luxury eBikes sold worldwide, today announced its 2018 eBike line available at select dealers throughout North America. In celebration of Riese & Müller’s 25th Anniversary, co-founders Heiko Müller and Markus Riese took full creative and technological liberty – and spared no expense – to build their ultimate eBike: The Delite GT signature. 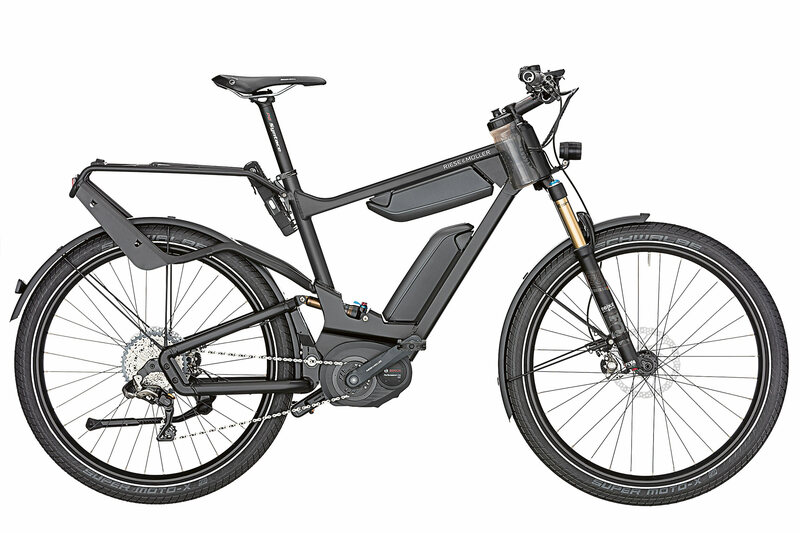 This stunning eBike offers Riese & Müller’s Control Technology, DualBattery Technology from Bosch, Syntace and Fox Factory components with a Kashima coating, Shimano XTR Di2 gears and high-grade disc brakes. Every Delite GT signature is numbered and comes with a certificate signed by Markus Riese and Heiko Müller. The Delite GT signature is available in signature black. Many love the idea of a cargo bike, but the size and weight can be discouraging. Enter the Packster 40: the ultimate urban cargo, adventure and utility eBike for everyday fun and transport. The Packster 40 is a compact, no-compromise crossover cargo model that combines the best features of several eBike categories. The Packster 40 offers a sizable cargo space, yet with a manageable length of just six feet, cargo width of 19 inches, and reduced combined weight – 13 pounds lighter than the full-size Packster 60 model – make the Packster 40 easy to maneuver, carry and store. The front cargo area is roomy enough for a child (optional child seats available) and includes a secured storage compartment. The Packster 40 is ideal for those living in urban areas, daily commuters, bike-packers, and many others looking for a fun way to travel and explore while carrying whatever they need. Unlike many cargo bike models, the Packster 40 fits on select car rack models for excursions. 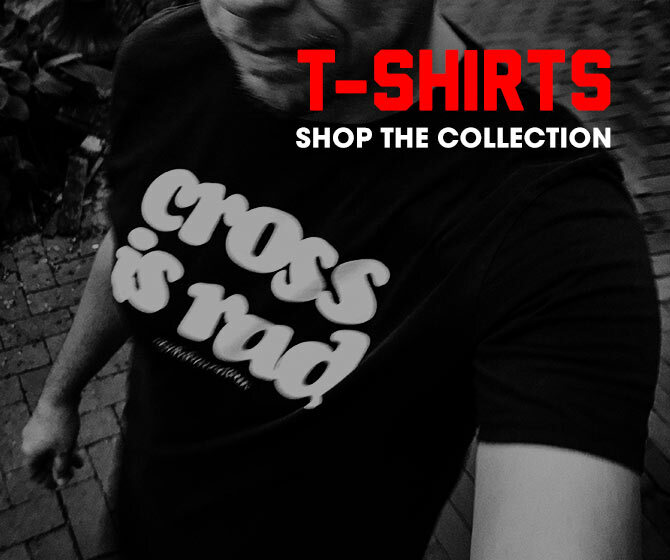 Available in two colors and multiple builds. 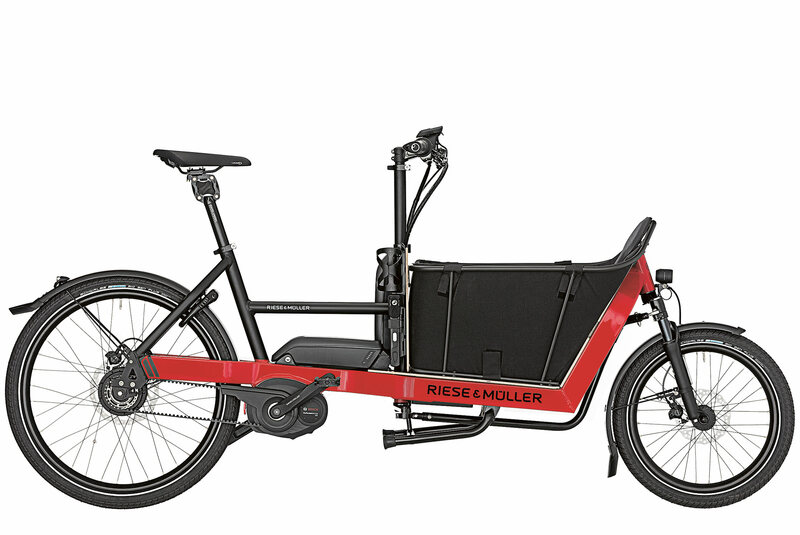 The three new models complement Riese & Müller’s existing line of eBikes, including eCargo models The Load and The Packster 60 and Packster 80, and eAdventure models, Delite and Delite Mountain, Homage, and Nevo.